There is no other way to describe this cute & cozy cabin other then being cute & cozy! It is located near Bear Mountain in Lower Moonridge! It is a 1 bedroom home and sleeps only 2 people. Perfect for a couple looking to escape and come to the mountains! Has a nice wood burning fireplace to enjoy after a day of riding on the mountain! 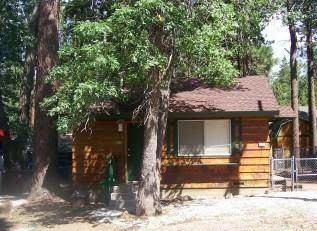 Call us directly at 1-800-363-8303 to get any rates and specials we have on this adorable cabin!